I know it, my family and friends know it, and my boyfriend definitely knows it. So, for close to 4 years now, I have been eating the same ol' breakfast and in this post, I will be sharing the skeletal version of my breakfast recipe (which will leave you room to tweak it yourself). The reason why I love this breakfast so much (besides the taste) is because it keeps me full for so long - At least 4 hours! It’s also fast, easy and super versatile. I just add whatever I feel like having that morning! If you don't like wordy posts or just reading in general (like me), scroll to the bottom where I have also made a short video that gives you a gist of what goes into my yogurt bowl. 1. Taste and consistency - I love the thickness and tartness of the 0% which is great when I'm adding fruits such as mangos or peaches. 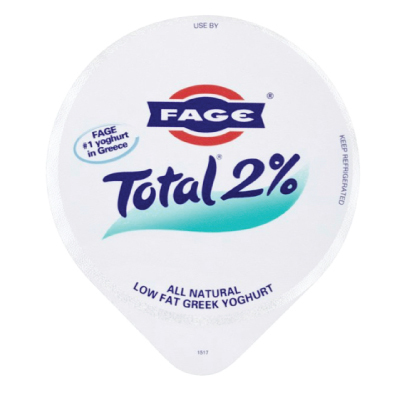 The 2% on the other hand, is perfect with less sugary fruits such as berries because of its creamier consistency. I avoid the full fat version not because of the fat content (mind you, a lower fat content more often than not has a higher sugar content), but because the texture is way too 'jelak' (too rich) and tastes too much like sour cream for my liking. 2. Satiation - I noticed that with Greek yogurt, I remain full far longer than with regular yogurt. 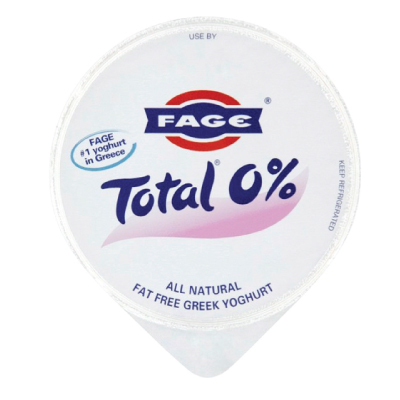 Greek yogurt differs from regular yogurt due to the additional straining process (regular yogurt is strained twice, while Greek yogurt is strained thrice to remove more whey). This not only results in its luxurious consistency, it also doubles the amount of protein as compared to regular yogurt. Greek yogurt also has less carbohydrates and half the sodium. On the downside, Greek yogurt has 3 times less calcium than regular yogurt and costs close to twice as much. I was shocked when I came back from London to find the same tub that cost £2.50 now costs me close to $13 in Singapore! To make myself feel better, I told myself that the thickness of the Greek yogurt would result in me actually using less. Which is mostly true! I used to eat half a tub (250g) every morning but now I use a quarter and add more chia seeds to thicken it. Thus is life. 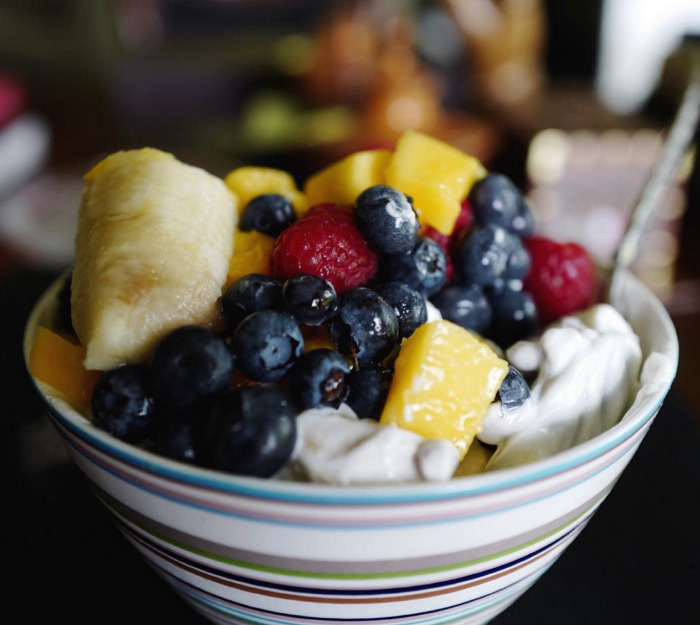 I never vary my fruits that much and stick to the usual bananas, mangoes, blueberries, raspberries and blackberries. Occasionally, when I decide to go crazy, I will have kiwi, passionfruit or lychee. The basic structure of my yogurt bowl is fruits, nuts, cocoa nibs, soaked chia seeds, dried berries and powders. I love having an assortment of berries, right now I'm very into Barberries, Incaberries and Mulberries. Mulberries are and have always been my favourite and they're dangerously addictive. You have been warned! Other berries I used to add were goji berries and freeze-dried blueberries. 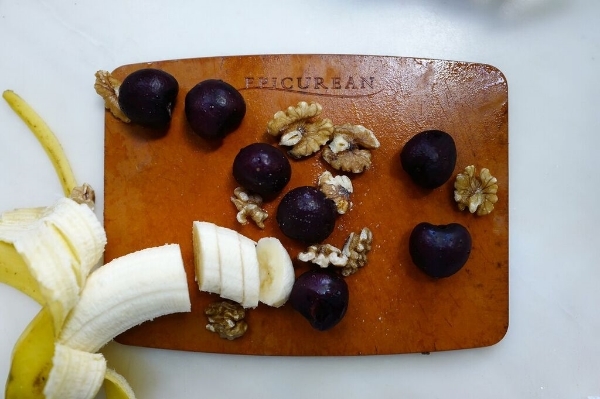 Next ingredient, nuts. I am strangely OCD about my nuts. 10 nuts, no more, no less. And I rotate between almonds, brazil nuts and cashews. Don’t ask me why, but I just feel grouchy if some nuts are broken which makes it hard to count! Like I said, I'm OCD that way. Yes, I am that serious about my breakfast. 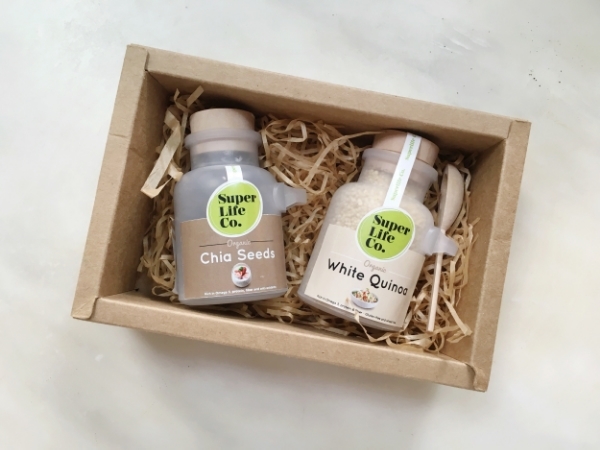 When my supply started running low and I thought to myself that all hope was lost, I was introduced to the amazing Superlife Co, a young startup with the aim to make health foods accessible (and affordable) to everyone! They pretty much bring in everything I wanted (namely maca powder and acai berry powder) and at reasonable prices (FINALLY!). But the part that really won me over was in their farming process (yes they even have their own farm). According to their site: "We send geologists to test the suitability of the soil before planting the chia seeds and quinoa. We also provide training to the farmers on the growing and harvesting cycles to ensure a consistent quality, and to ensure that all our farming processes are organic and ethical". As for the powders, my absolute must-have is the amazing Amazing Grass Lemon-Lime Energy Blend. I also used to have other mixes such as flaxseed, hemp, goji berries etc. from Linwoods Healthfoods. While I don’t have the exact same products, Superlife does carry hard to find items such as maca and acai berry powder so I am finally content with my yogurt bowl! If I had one complaint about my recipe (I am Singaporean, after all), it would be having to soak the chia seeds overnight or for at least 10 minutes to get a more gelatinous consistency. But now I soak an entire bowlful of chia seeds and leave it in the fridge so I can just spoon out some jelly goodness in the morning until I run out! Just add the yogurt to the bowl (when I'm feeling fancy I mix 2% and 0% together), stir in the powders, add the chopped fruits and top with the dry ingredients! You can be sure to stay satiated for at least 4 hours without feeling sluggishly full. For all the readers with new year's resolution that involves healthy-eating, hopefully this post has now made achieving it easier!